AERIAL VIEW photos of Mexico. Vista aérea, fotos de mexico. 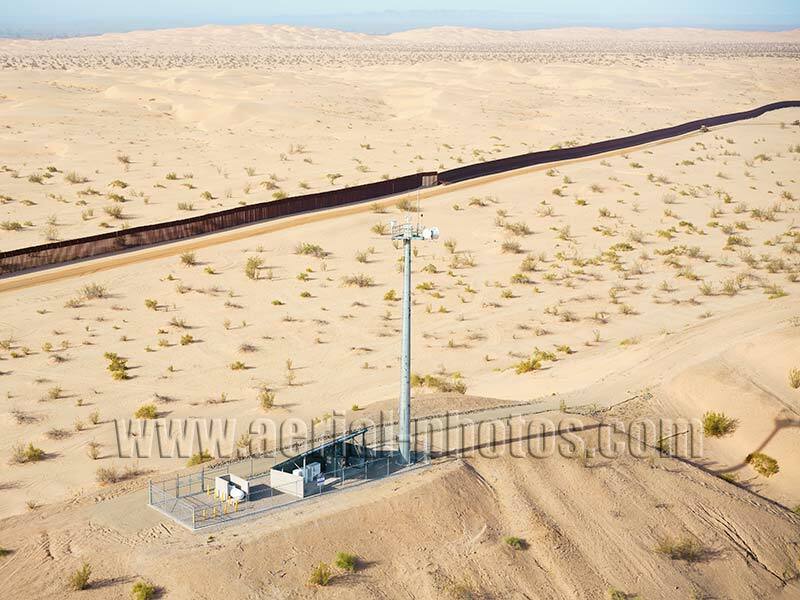 International Border at the Algodones Dunes in the Sonoran Desert. 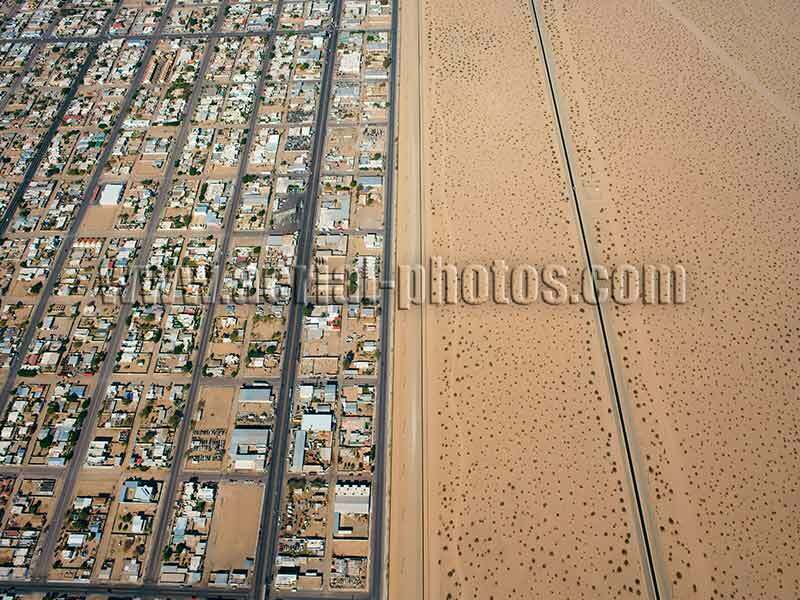 Mexico, Baja California (left) - United States, California (right). High-tech equipment used for detection of people crossing illegally into the United States. 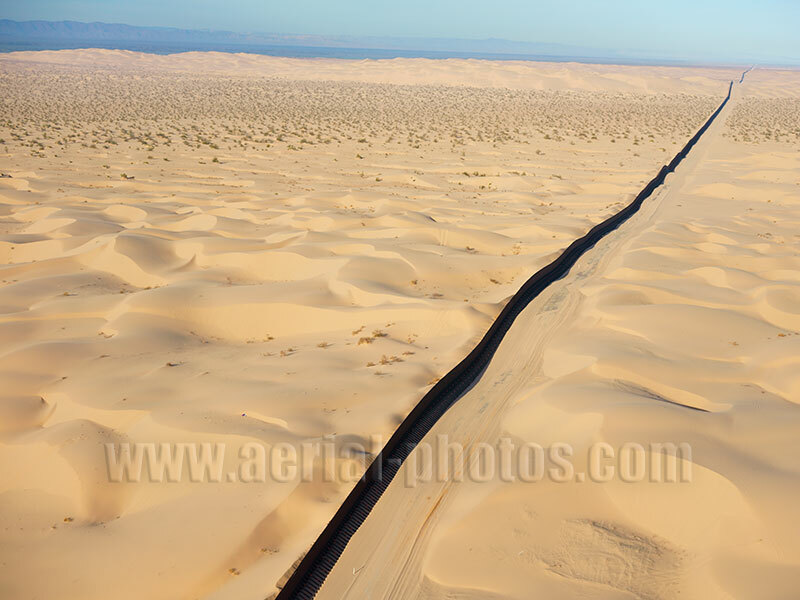 International Border at the Algodones Dunes in the Sonoran Desert. Mexico, Baja California (behind the barrier). 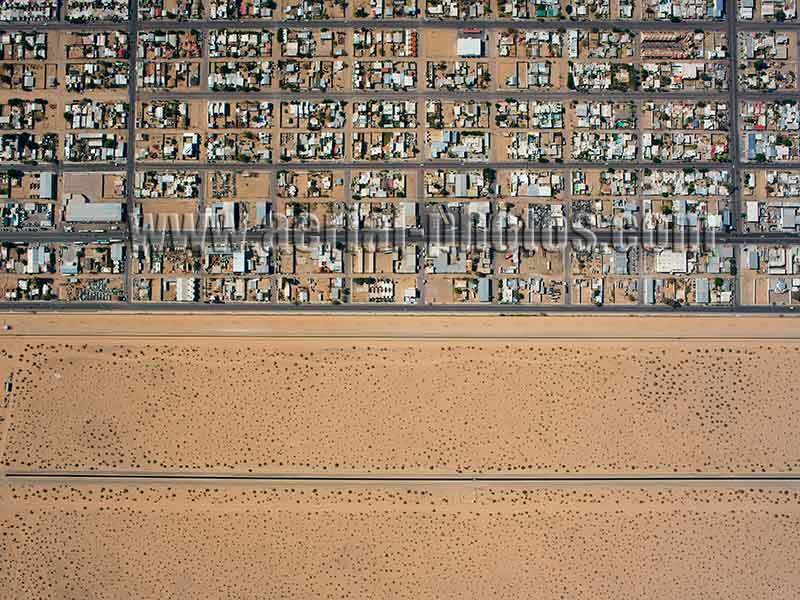 City of San Luis Rio Colorado in the State of Sonora in Mexico stretching alongside the Mexico - United States Border. 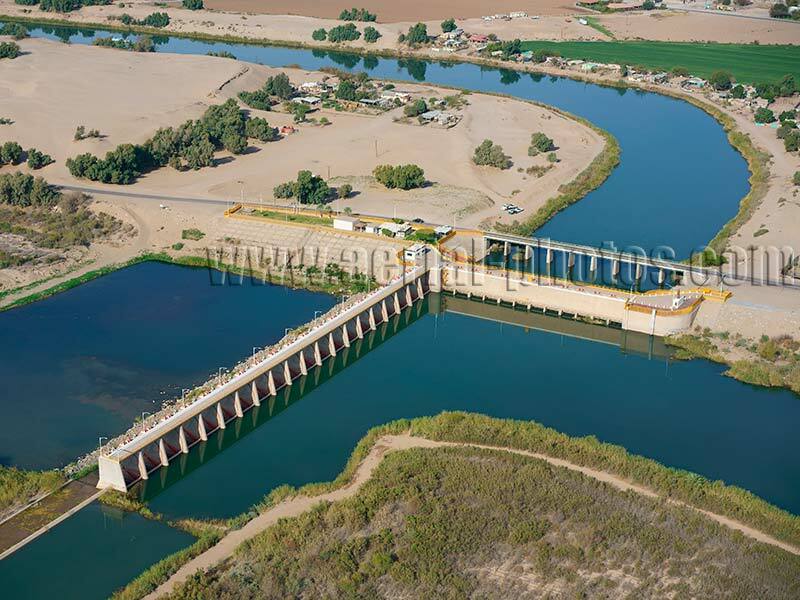 Morelos Dam: a diversion dam that is the coup de grace of the Colorado River. Upper left is the Reforma Canal in Mexico. Lower left, the small stream is what remains of the mighty Colorado River and marks the Mexico - United States Border. 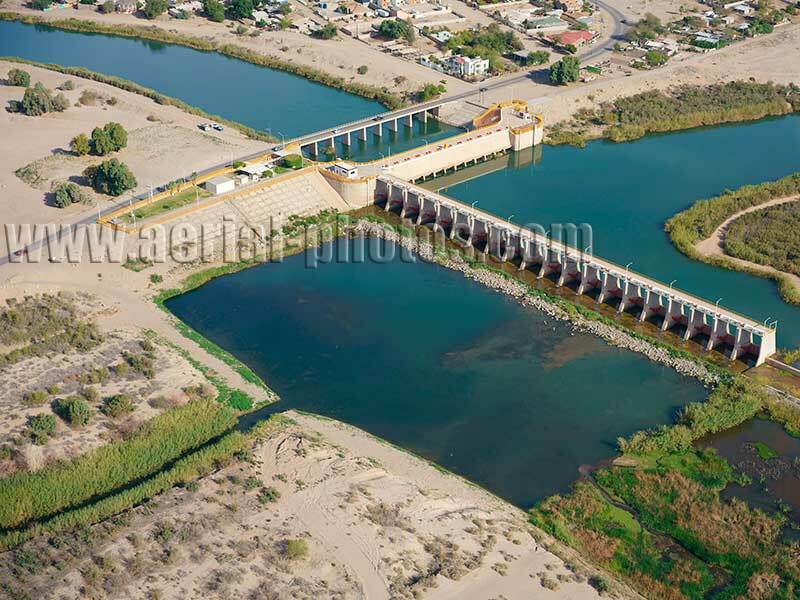 Morelos Dam on the Colorado River, Baja California, Mexico and Arizona, United States.